Have you set yourself a goal to get fit and active in 2019? If you can’t see without your glasses, how do you manage fitness activities such as swimming, skiing and tennis? And if you’ve ever tried working out with your glasses on, you’ll know all about problems with fogged up lenses and slippery noses! Even if you don’t require vision correction, a good pair of sport-specific eyewear can help you. 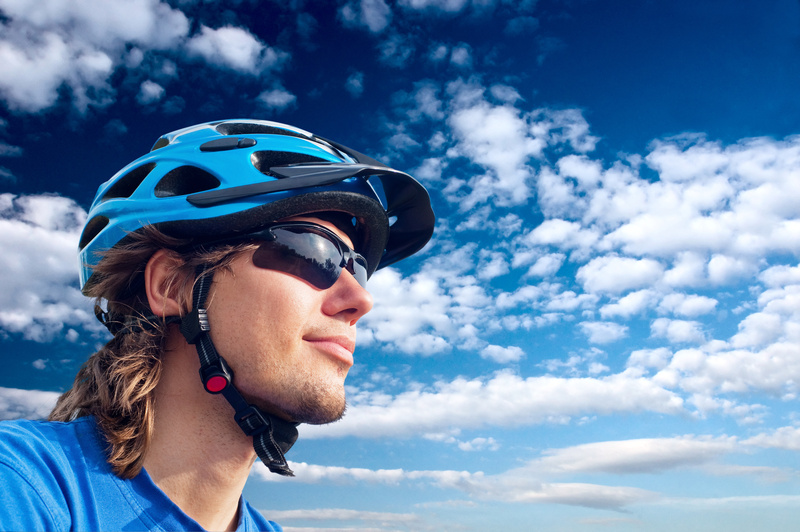 The frame will keep your eyes safe, and depending on which sport you’re enjoying and the environment you’re in, they can also improve your vision! Many professional athletes who have no need for prescription lenses, will use glasses when playing sports to enhance their vision. This is because certain lenses will eliminate unwanted glare that the naked eyes can’t, and different lens colours enhance contrast and clarity. So what is available, and what do you need to look for? Nike offe r an excellent standard of sporting prescription sunglasses with different tints and varying designs that are suitable for use in a number of sports. These include golf, running, cycling and water sports. These types of sunglasses also cover a larger eye area so a prescription version may be a better solution than tinted lenses in a glasses frame. This will ensure that you get increased protection from the glare. Snow is one of the most reflective surfaces when it comes to light. Wearing sunglasses for winter sports is absolutely essential to avoid harmful UV rays, even if you’re not standing in direct sunlight. Snow blindness (when bright light reflected from snow affects vision) is a real threat when skiing or snowboarding. This is particularly true at high altitudes and travelling at high speeds. So make sure your ski goggles or ski glasses lenses provide 100% UV protection. You can also get ski goggles with prescription lenses and they’re available for all ages. If you enjoy sailing, or other activities on or near the water, your eyewear should provide 100% protection against harmful UV rays, and polarized lenses are helpful to reduce glare. 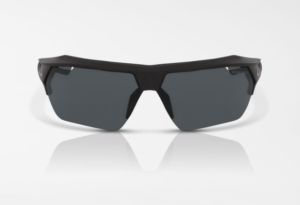 Many of the latest models for surfers and yachting enthusiasts also come with a floating frame to ensure that the glasses remain on the surface instead of sinking. Most water sports enthusiast’s suffer the added distraction of being hit by water spray and potentially high winds. Suitable sunglasses can help to reduce these effects with a hydrophobic coating which causes any water to bead and run off the lens instead of sitting in blobs on the lens surface. Some frames will allow you to exchange a rubber strap for temple arms at the touch of a button – perfect for rapidly converting your water sports sunglasses into leisure eyewear, and a major plus for spectacle wearers who would otherwise have to carry a second pair of glasses. Goggles offer multiple benefits when you’re in the water, protecting your eyes from chlorine and salt water and keeping out bacteria when swimming in a lake or the sea. You want to choose goggles that offer a snug all-round fit so that no water gets and adjustable straps are key. 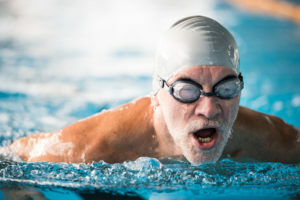 Swim goggles are also available with your personal prescription – most models can be supplied with lenses in standard prescriptions for both adults and children. And what about high impact sports such as football, tennis and volleyball? You will definitely want to consider sporting frames with more impact resistant polycarbonate lenses to avoid any accidents! Designed to withstand being hit, these durable frames and lenses are safe to wear and will help to protect your face and eyes if broken. Sports glasses typically have a high degree of wrap (curve in the frame) too. The wrap of the frame follows the form of the face. This helps prevent any objects from hitting the eyes from the periphery. You might also want to consider a sports band attachment. It’s an easy to adjust strap that will secure your glasses in place. If there are no contra-indications and you’re not partaking in water-based sports, contact lenses may be an appropriate solution for you and your sporting activity. Contacts can be an easy and safe alternative to wearing eyeglasses on the sports field. Contacts also make it easier to wear other eye protection (such as goggles and masks) without paying for a prescription pair and without the bulk of eyeglasses worn underneath. Make sure they’re a good fit. It can be hard to run if your eyewear is slipping down your nose when you perspire. You will need your sports glasses to fit more snugly than your everyday pair to accommodate for this. Secure your frames and protect your face from high-intensity bouncing while running or the slippery nose slope by using frames with adjustable pads. If you’re prone to lenses that fog up while you’re working out, look for frames openings on the temples. These openings will let any heat and moisture escape, and prevent fogging. Keep your prescription up to date. You need to see clearly when engaged in a sporting activity to protect you and your fellow players from injury. Ensure you have your eyes tested every two years, or as recommended by your optician. For more information about active eyewear, please get in touch or pop in to our store for a chat. You can find all our contact details here.